"Ghost Recon just got bigger and better!" Ghost Recon is set in the not so distant future of 2008 in a world of uncertainty and the possibility of World War III. You play the leader of the Ghosts, an extremely well trained recon group that are deployed into dangerous situations when only they can get the job done. As their leader, you must ensure the safety of your men by training them, giving them the right equipment and selecting the right members for specialised missions. 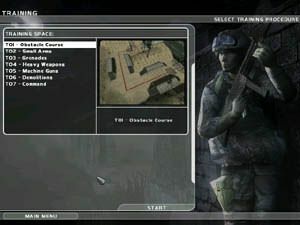 Ghost Recon contains 15 unique missions that create a single storyline based on the characters by Tom Clancy. My first impression of the Collector's Pack was one of awe, not only did the box weigh a ton but it includes some awesome and well presented reading material such as manuals and the official strategy guide. Installation of Ghost Recon was a breeze and took less than 5 minutes to install almost 1gig of information to my hard drive. At a first glance after installation, you may feel a little unsure of where or how to begin. Fortunately the game opens with an impressive in-game cinematic that explains the story behind Ghost Recon and how extremists are trying to recreate a cold war Russia. Your job is simple, seek and destroy any threats to world safety. As team leader of the Ghosts, you must select the correct people and equipment for each mission you engage in. Fortunately for novices such as myself, you can let the computer handle this. It is recommend that you complete the training missions in order to get all the controls down pat. They teach you how to use your weapons and control the characters. The gameplay of Ghost Recon is not easy and this is not a problem of the game. The reason for this is that Ghost Recon is an extremely realistic game, you must successfully manoeuvre your men through hostile areas and only engage the enemy when necessary. The default controls of Ghost Recon may not be everyone's cup of tea and some reconfiguring is needed. After a few missions, you will eventually get the hang of the game controls and your team. Ghost Recon is not your standard first person shooter and you cannot engage the enemy with guns blazing. Ghost Recon is a hybrid game that contains a first person shooter crossed with a strategy game. The graphics of Ghost Recon are extremely well done. The attention to detail is extremely nice and nothing is left to chance. You actually feel like you are travelling through some enemy forest in Eastern Russia. The only downside of the graphics is that sometimes they appear to be too grainy and are not as clear and sharp as some of today's newer first person shooters. 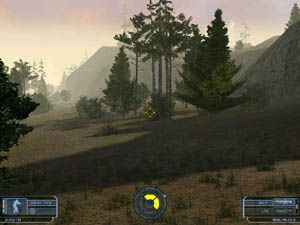 There is a variety of weather effects and lighting that proves for some interesting gameplay such as night missions. The cut scenes of the game are all in-game graphics that helps push the storyline forward. As with Tom Clancy's Rainbow Six, Ghost Recon has some beautifully orchestrated theme music that gives you a real movie atmosphere of action and drama. To make the game as realistic as possible, there is no music playing while you are on missions because you must hear every sound, in case you march upon a platoon of enemy soldiers. Weapons and background sounds are all extremely well done. 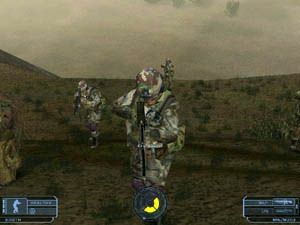 Desert Siege is the popular mission pack for Ghost Recon and takes place shortly after the uprisings in Russia where small wars have erupted worldwide. The storyline is set in Africa where a war has occurred between Ethiopia and Eritrea. You must prevent any more hostilities from breaking free in order to prevent a humanitarian crisis. Desert Siege contains eight new missions that form into one single storyline and contains various new weapons, enemies and improved graphics. 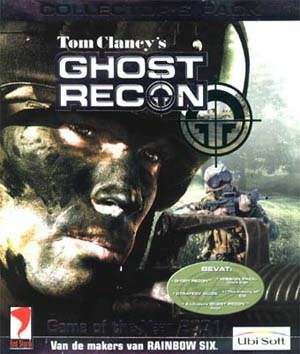 The strategy handbook that comes with the game is called Tom Clancy's Ghost Recon official perfect guide and contains a plethora of detailed and interesting information. The book has statistics about all the soldiers in the game, weaponry, equipment, tactics, strategies, walk throughs, tips, multiplayer information, interviews and dozens of maps. The books is exclusively designed for Ghost Recon standard pack but is still useful for the Desert Siege add on. This book is over 230 pages and will give you hours of entertaining reading material. The Making of Ghost Recon features some impressive behind the scenes information with dozens of interviews and sections that include art, design, technology, production and special features. The interviews go into great depth on how they created this unique and awe-inspiring game. The art sections contain hundreds of different pictures that range from in game graphics, initial design models and various sketches. I would recommend that you complete Ghost Recon before checking out this CD as it does contain a few spoilers. Either way, its a great bonus once you've finished the game. For those who may have missed the first round of Ghost Recon, I would highly recommend that you buy a copy of Tom Clancy's Ghost Recon Collector's Pack because not only does it contain the original game but also the mission pack and various other goodies. This game is unlike most first person shooters because it aims at realism. One shot in the wrong place and you are as good as dead. Its a combination between a first person shooter and a strategy game. You must use all your wits, firepower and skills in order to save the world. You will not get a heroes welcome because you work behind the scenes, your only reward will be that you and your team have saved world peace. Highly Recommended!